Aren't Cavities Just Kid's Stuff? What Are The Signs Of Periodontal (gum) Disease? How can I Prevent Periodontal (gum) Disease? Am I An Ideal Patient? How Can I Whiten My Teeth At Home? Dr. Edward Mills is the founder of the Atlanta Center for Restorative Dentistry. A graduate of Emory University in 1980, he has lectured extensively throughout the world on state-of-the-art restorative techniques. Dr. Mills is a fellow as well as the 2003 president of the American Academy of Implant Dentistry and a diplomat at the Board of Oral Implantology. 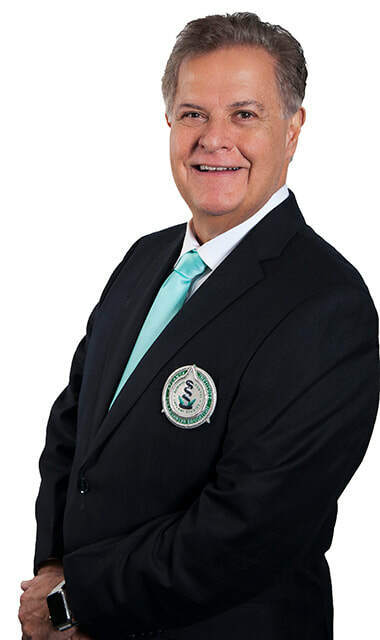 Dr. Mills is also the founder and current director of the Atlanta Institute for Advanced Education, a state-of-the-art educational facility utilized to train professionals through lectures, live surgical demonstrations, and internet educational formats. Additionally, he is the current director of the Maximus 390-hour Comprehensive Dental Implant Training Program, considered to be among the top continuing educational programs in dentistry. Dr. Mills is also director of a three year hospital-based dental implant residency program at Emory Adventist Hospital. Dr. Mills is a leading resource on both the surgical and prosthetic aspects of Dental Implantology. Dr. Edward Mills has been surgically inserting and restoring implants in Atlanta for over 30 years. He has clinical experience with virtually all major dental implants. Dr. Mills has lectured nationally and internationally on implant surgery and prosthetics. Dr. Mills has become a secondary referral source for many implant dentists in Atlanta. He assists other dentists in the care of patients with complex dental implant cases. He has helped train over 1000 dentists who have graduated this program.